Last week, I somehow managed to lose weight wooohooo. For some, this may motivate a person to continue with a healthy lifestyle to maintain their loss of body weight. For others, this means a time to celebrate and eat loads without feeling guilty. I am one of the latter! 😀 So of course, I wanted to celebrate and persuaded my uni friends (hi guysss!) 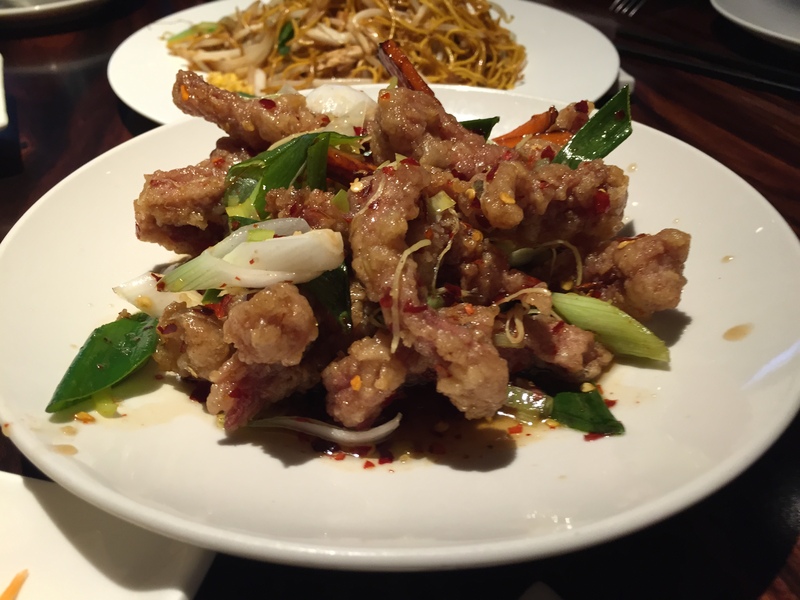 to venture to Bayswater to try Maximini – a Chinese restaurant owned by Jimmy Choo! These were one of the starters we ordered and they seemed to be a favourite amongst us all. 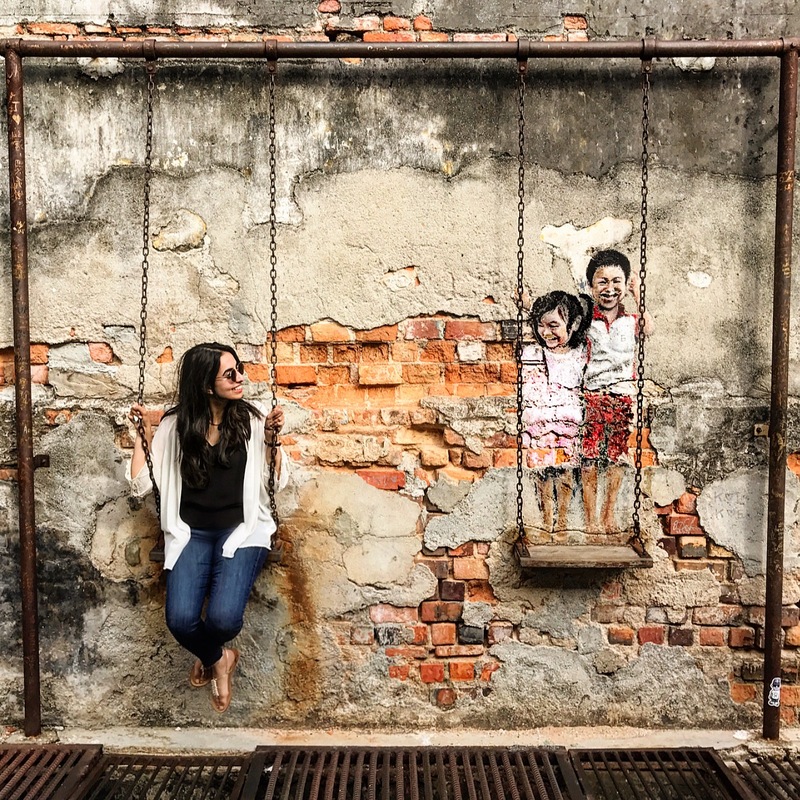 You probably know by now from our posts on Cocochan and Penang! 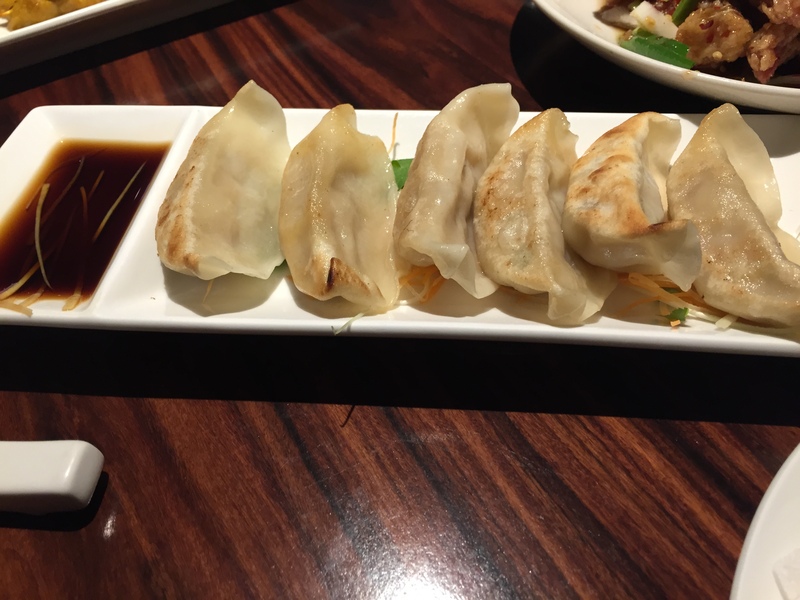 that we love dumplings! It’s a dish that can sometimes taste a tad bland because of the dough, but the chicken and vegetables inside combined well. 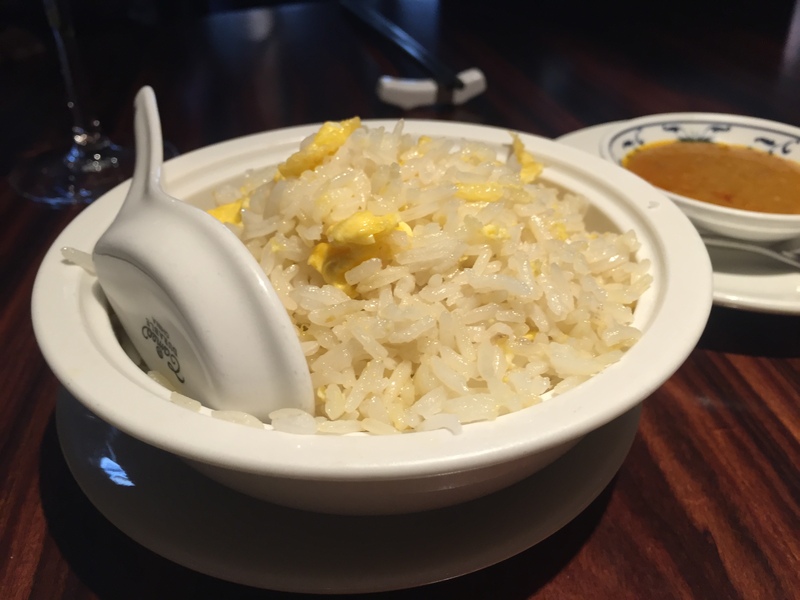 This dish was served with soy sauce to enhance its flavour. The chicken at Maximini was sweet and had a hint of lemon. 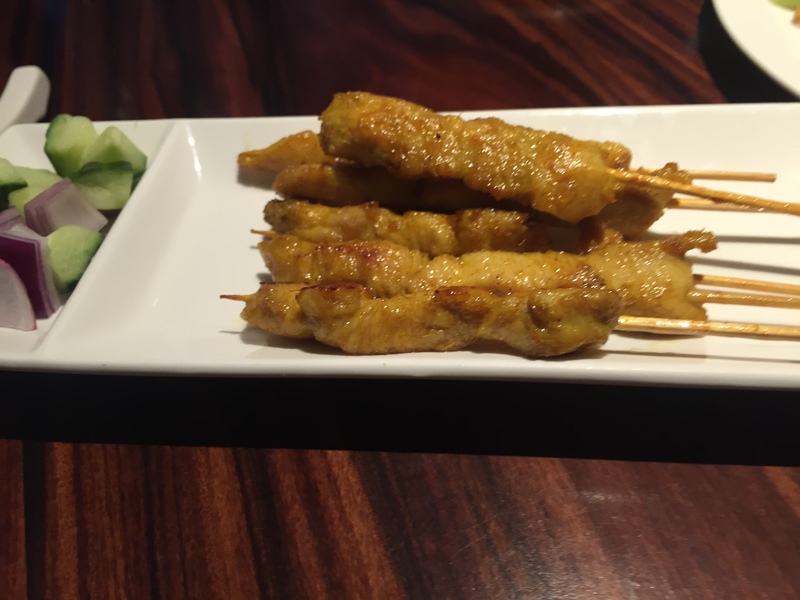 It was yummy and flavoursome, however, this is definitely not the best chicken satay I’ve had and neither is the peanut sauce that it’s served with. I definitely prefer the satay we’ve had at Nusa Dua and Penang!. 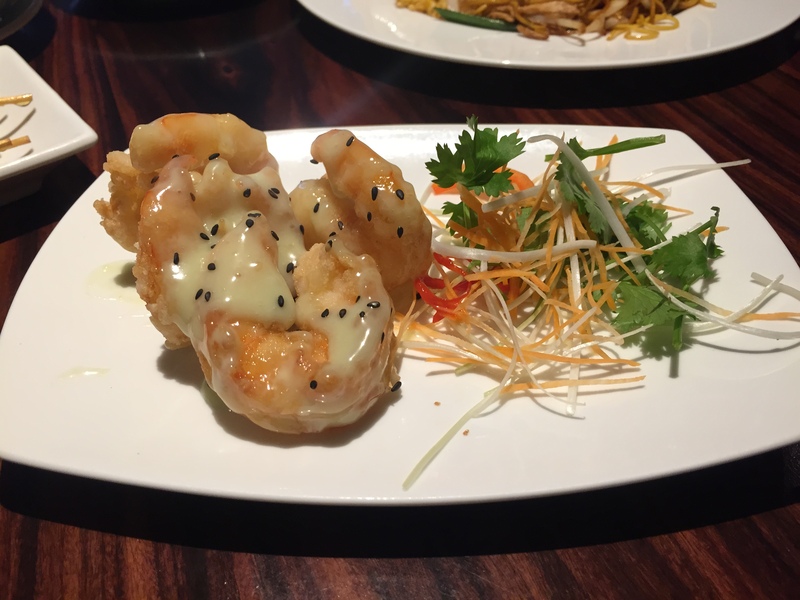 Omggg… hugeee, fried, slightly crispy prawns smothered in wasabi sauce. These were good, however, I think Maximini’s sauce was a bit too sweet for my liking. Underneath the sweetness of the sauce however, I could taste the juciness of the prawns, which was lovely. The beef was served hot and fresh and was extremely flavoursome. However, the sweetness of the sauce was a bit too overpowering and I found the strips of beef to be a little chewy. 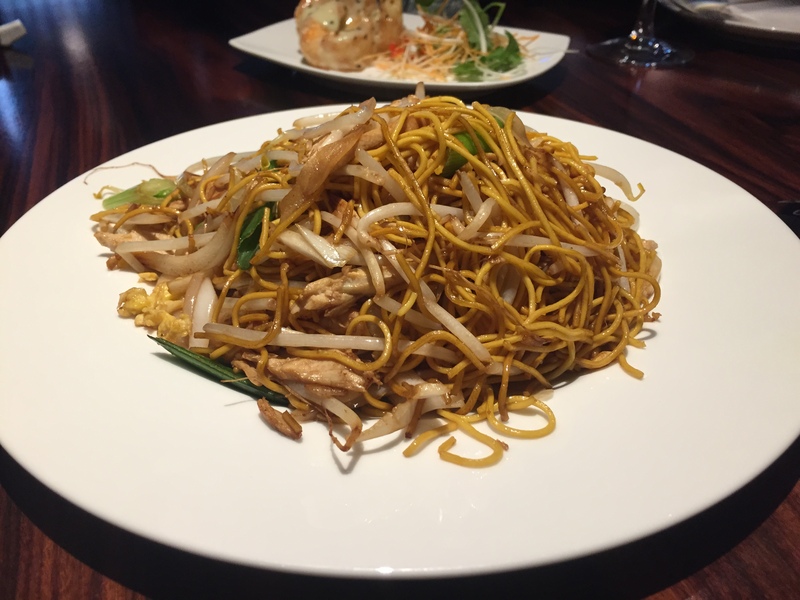 We really loved these noodles and gobbled them up so quickly that we had to order another portion! The chicken was definitely fresh and the vegetables were perfectly cooked so that they remained slightly crunchy throughout. Yummy! Overall, I think this is a good but not amazing restaurant. It’s great because it’s not often that we can eat authentic halal Chinese food alone (rather than eating at a Pan Asian restaurant with a mixture of dishes). All meats are halal here and no pork is on the menu. The décor is lovely and it’s not overly priced (£15-20 pp) – considering this is owned by Jimmy Choo after all! The portion sizes were a tad small, so bare that in mind.